The Oklahoma football program has become a hotspot for prolific college quarterbacks under head coach Bob Stoops. Stoops has been spoiled with great signal-callers over the 14 years he's been in Norman. He's had two Heisman winners and a Heisman runner-up who captured a national championship. Josh Heupel, Jason White and Sam Bradford won more awards and played for national championships; however, nobody has had better overall statistics as Oklahoma's quarterback under Stoops than Landry Jones. Of course, quarterbacks aren't always measured by statistics. Winning is involved. Teammates are involved, and time played at the position is factored in as well. So, where does Jones rank among the Oklahoma quarterbacks in the Stoops-era? First off, he's not in the Top Three. Heupel won a championship and nearly captured the Heisman. White led his teams to back-to-back national title games and almost took home two Heisman trophies. Bradford led Oklahoma to a national title game, won the Heisman and was selected No. 1 overall in the 2010 NFL draft. There's no way Jones is better than the three-headed monster of Sooner quarterbacks under Stoops. 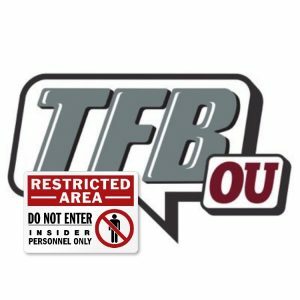 The next level of signal-callers under Stoops features Nate Hybl, Rhett Bomar and Paul Thompson. Hybl led the 2001 Sooners to a 10-2 regular season before they defeated Arkansas in the 2002 Cotton Bowl. He then led the 2002 Sooners to an 11-2 season before defeating Washington State in the 2003 Rose Bowl. Hybl was surrounded by talent. His teammates consisted of players like Roy Williams, Rocky Calmus, Andre Woolfolk, Quentin Griffin and Trent Smith. However, Hybl underachieved somewhat in both seasons as the starting quarterback. Each year the Sooners had a chance to compete for a national title, but each year they fell short. Bomar and Paul Thompson competed for the starting job in 2005. Bomar eventually won, and Thompson moved to wide receiver. Bomar isn't a popular player among Stoops' quarterbacks. 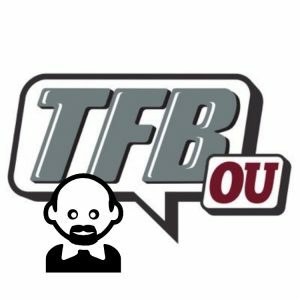 He led the team to a victory in the 2005 Holiday Bowl but was booted from the program after receiving payment for hours he had not worked at a car dealership in Norman, OK.
Thompson took over as the starter before the start of the 2006 season after Stoops dismissed Bomar. He led Oklahoma to an 11-2 season, but it was famously upset by Boise State in the 2007 Fiesta Bowl. Jones' legacy can't be compared to Heupel's, White's or Bradford's. However, he does rank ahead of Hybl, Bomar and Thompson. No Oklahoma quarterback in the Stoops-era has started more games, passed for more yards, thrown more touchdowns and completed more passes than Jones. He's also won all three bowl games he's played in. Oklahoma defeated Stanford in the 2009 Sun Bowl, defeated Connecticut in the 2011 Fiesta Bowl and defeated Iowa in the 2011 Insight Bowl. He has a chance to go 4-0 in bowl games when the Sooners square off against Texas A&M in the Cotton Bowl Jan. 4. Jones had to follow in Bradford's footsteps when he took over as the starter in 2009. Those are never easy shoes to fill. However, Jones has earned his spot as the fourth-best Oklahoma quarterback under Stoops. He never lived up to the expectations left behind by Heupel, White and Bradford, but his career numbers still have him ranked as one of the best Oklahoma quarterbacks in the Stoops era.